Designed by makeup artist Wayne Goss, this versatile, Japanese-made brush set comes with all the tools you need for a lifetime of flawless looks. It's everything you love about Wayne's first brush set, The Collection, reimagined in a new, limited edition release. To learn how to use each brush, see our lookbook. Wash your brushes occasionally with a gentle brush soap and let them dry hanging upside down. As with all brushes made with natural hair, some shedding may occur during the first few uses. 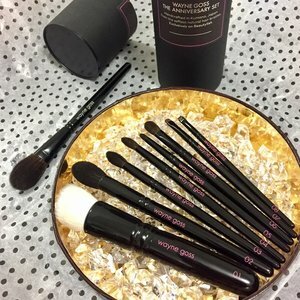 To commemorate the second anniversary of its launch on Beautylish, Wayne Goss is reissuing the best-selling brush set that started it all. Everything you love about The Collection, reimagined in a new limited edition release. I've been a fan of Wayne's brushes since I first laid eyes on them. It's easy to spot the incredible craftsmanship and the hours of thought that went into designing each brush. I've used his brushes on a daily basis over the last 2 years and have come to rely on them both personally and professionally as a makeup artist. When you have the right tools it can almost seem as if your makeup does itself. These are the right tools! The number 1 brush has been a fan favorite but I want to be the first one to tell you that the redesigned number 1 will blow you away! It's now 4x larger and I'm so happy with it and that alone makes it worth getting this set! It has now replaced all my other foundation brushes because it's large enough to allow for a quick foundation application and the dense duo fiber will give you such a gorgeous airbrushed look to your foundation. The original number 1 will still be your go to for cream blush or other cream products but now you will have the perfect foundation brush too! However you will find that you can't live without the 2,3,4,5,6,7 and even the tiny little 8 will land it's cute self into your brush essentials list. Brush #1 is still a let down. I got the original collection as a present last year for Christmas. I fell in love (and a little aroused to be honest). Every single brush was fantastic and blended out (contours, eyeshadows, creams) you name it, these brushes worked with product like the product and the brush were part of a duo. All except brush N.1. I was surprised at how tiny the brush was and its not like the brush worked product in like nothing else I'd ever seen. The finish was strokey and not airbrushed. Wasn't a fan and foundation application wasn't fun and takes for ever. With this second edition, i'm still speechless with all brushes except for N.1. I wanted to love it but as soon as i put it on the job it started shedding. It shed 6 hairs!!! Same thing is didn't even leave as good as a finish as other methods. I'm confident that this brush would be a lot better if it was synthetic fibers instead of natural hair. Wayne, you've done it again! Now, about those beautiful brushes... I've been following Wayne's career for 5+ years. He always gives 100% honest feedback, good or bad, and is always spot on with his taste and opinions. Whether a product is $5 or $500, he isn't afraid to speak his mind and is INSANELY talented. 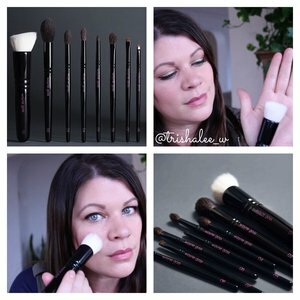 This is why I wouldn't trust any other YouTubers to buy high end brushes from. When Lauren Luke (pancea81) released her set, I passed. When Marlena of M.U.G. released hers, another pass. I love them but didn't feel the need to rush and buy them. When Wayne announced his set, I immediately put myself on the early release email and bought them the minute they came out. 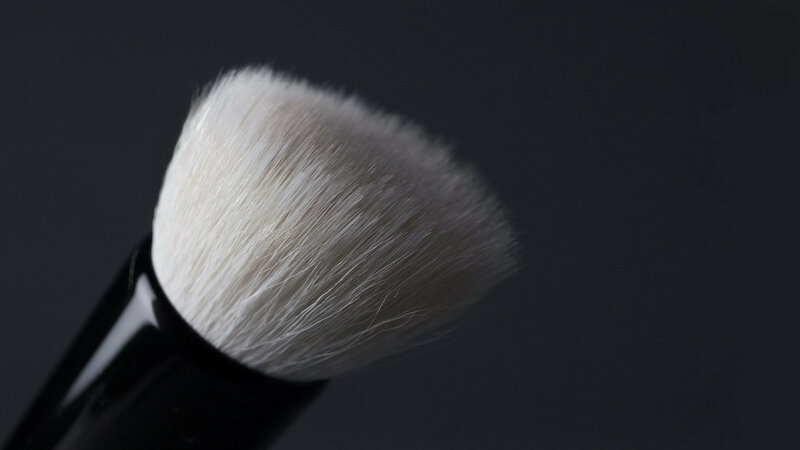 The brushes themselves are soft yet firm, and apply product evenly with hardly any effort needed. I love tapered crease brushes for everything. I buy them more then any other brush and this set comes with 3 of different sizes for different areas of the face/eyes. The larger foundation brush is a beauty. It's white, so it will look "dirty" after only a little product but it is wonderful anyway. I don't know how anyone could have used the small one lol! All in all, great set, great value and totally worth a purchase! I can't wait to use them on clients at a wedding tomorrow! Such gorgeous brushes! They are so soft! The eye brushes and the number two are amazing me! They just make doing your eyes so easy. Is anyone else having trouble with the number 1 brush? Mine is shedding like crazy! Does anyone know any tricks to make it stop shedding? If I wash it will it take all the loose ones out? I love these brushes!! I also respect & admire the creator Wayne goss! I usually use a beauty blender with foundation. Ever since I got the new #1 brush I haven't touched it. Extremely soft and I've never put foundation on that fast in my life & im good at my makeup. Makes it look flawless!! Even with face & body from mac. That barely sets fast if ever for some. With the #1 brush it sets so much faster it's crazy!! The number 2 brush is crazy soft and applies powder so well. I use it for setting my eyes highlight also. I use ILLUMINATORS especially with it. And if you go HAM with a blush it will blend it like a dream;) #3 &4 eye brushes are so soft and blend so well. It's almost fool proof. Never so easy to do shadow. #5 super small pencil type brush it's amazing for lower lashes and smoking out liner. All eye brushes are super soft also. #6 is like a way better version of the mac 217. It's a bit smaller but still amazing. Also pats color on lid like no other!) #7 also a small smudged brush or lip brush amazing for both!! Love it! #8 brush legit the tiniest finest right line brush ever. But it's so dam* good<3 no other brush tight lines like this. Flawless!! I would deff. Recommend this set to any one. I'm so happy I went for this. You won't be disappointed. These brushes are a dream. Beautylish sent the set to me as soon as it was available. Love the range of brushes and how soft and well made they are. The packaging is fantastic and I very much appreciate the extra thought that goes in to it both by Wayne and Beautylish. These brushes are so versatile and multitasking. Still exploring but love the foundation brush. I contacted the Beautylish team just as soon as I unboxed my brushes, and had let them know (with video evidence) that the foundation brush was damaged during transportation, I suppose? 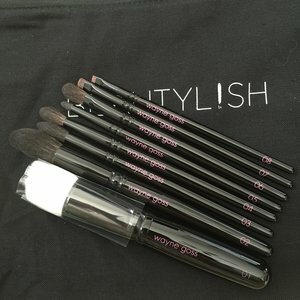 Although the Beautylish team is always fantastic, I did not appreciate the response I received, 1) because they asked me to wash and reshape it 2) they directed me to the link where I can purchase brush guards on the Beautylish site. I mean come on?! 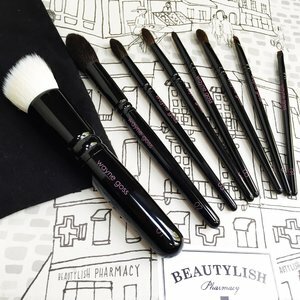 In the past I purchased brush guards from Beautylish, and I gave the no.1 brush a chance, but to me it's just not worth the hassle. I am a professional Makeup Artist, who has worked in the field for 10 years now, I know what wear and tear can do to brushes, but this specific brush hadn't even been used. Maybe I got a defective one, that sheds like crazy, and was completely frayed? I expect better quality, with such a hefty price tag. Till this day I have brushes from 10+ years ago, I don't think it's ok to pay so much for a damaged brush. I had hoped that the set was similar to the holiday set from last year, great quality, and reliable. But this was a definite letdown. I will be returning the complete set. Amazing brushes! I'm absolutely glad that these ones are prt of my collection now. These brushes are uniquely soft hnece very gentle on the skin. I love that they are hand made in Japan, meaning each brush has been handcrafyed with lot of thought and care. 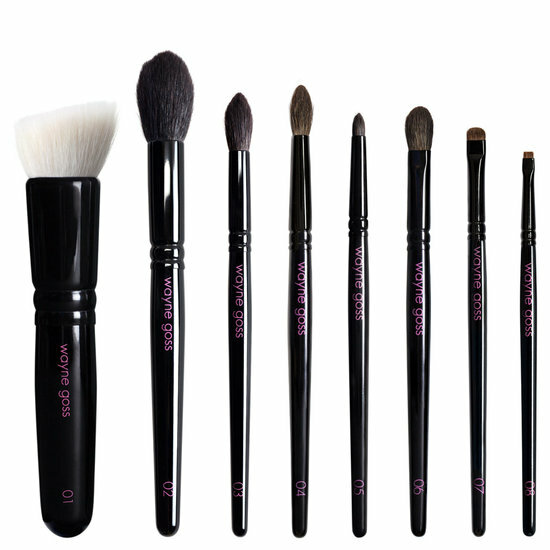 I particularly love the tapered eye brushes, so good for blending and contouring. This set is worth every penny. Art and quality in one. Brilliant tools, go Wayne!